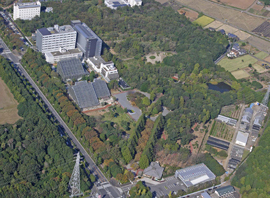 The Tsukuba Botanical Garden was established in 1983 as a botanical research center in the National Museum of Nature and Science. The mission of the Garden is to investigate and conserve plant diversity, and to raise awareness of the world of plants and its value for our own existence. The World Vegetation Area contains various vegetation from cool-temperate to tropical forests. The outdoor area is divided into the following nine sections; and in the indoor area, there are the following three greenhouses. Around the greenhouses, plants from Japanese temperate are displayed. Approximately 270,000 plants species have been known to indirectly contribute to human life. Biodiversity plays a major role in sustaining human life. In the Area, plants used as herbs and medicines, as well as culture and science are displayed for considering importance of biodiversity.